Additional selected fruits, vegetables and native blossoms/nectar can also be given to your birds as a healthy foraging treat. Please ensure, cool fresh water is freely available at all times. Whistler Lorikeet Formula is a nutritious and complete food specially formulated for all exotic and Australian Lorikeet/ Lori varieties. Made with the goodness of wholesome cereals including rice, wheat and soybean, plus the natural flavour of vanilla extract. 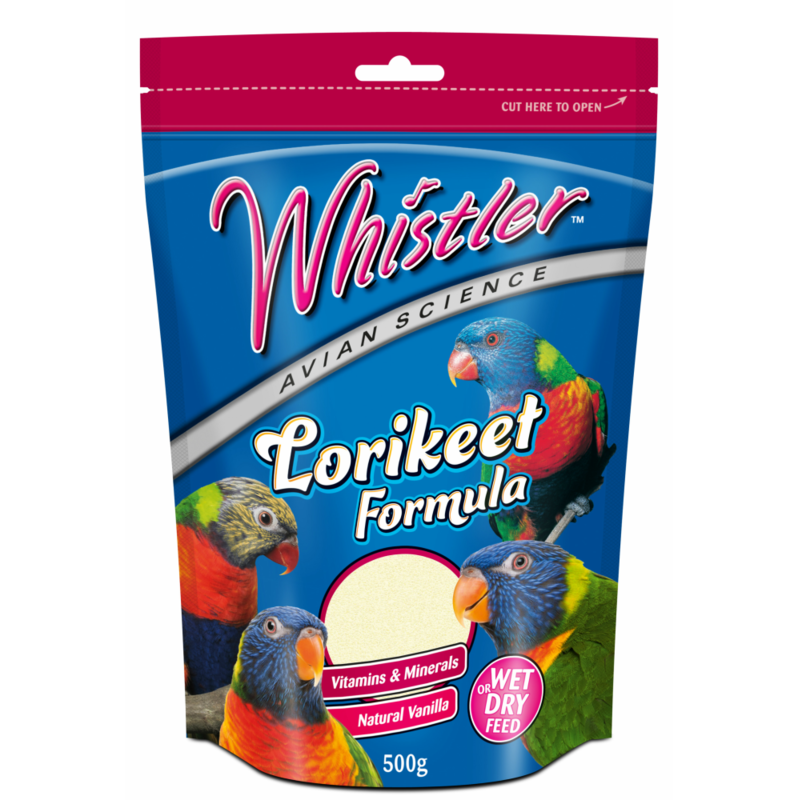 Whistler Lorikeet Formula is low in refined sugars making for a delicious, healthy diet your Lori/ or Lorikeets will love!